It’s time for the annual End of the Year Book Survey! This survey was created by Jaime @ The Perpetual Page Turner and is a great way to look back on the reading year. I love sharing which books really stood out to me each year and this time around, I didn’t forget, so I’ve been working on this one since early December. So yay me! Let me know if you are also doing this survey and leave me a link to your own post in the comments. Covers/Titles are linked to Goodreads. Let’s get to the books. I’ve had a lot of good luck with graphic novels, enjoying nearly every one I’ve picked up. Unfortunately, I did not like Welcome to Lovecraft (Locke & Key, #1) by Joe Hill like so many others did. Amy Tintera’s Ruined really surprised me. 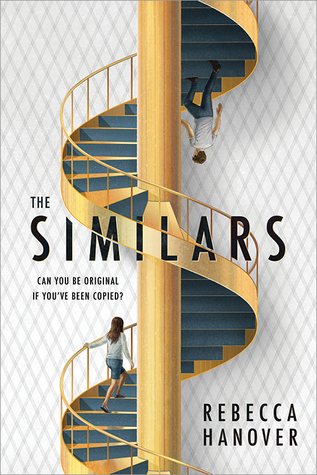 If you asked me before I read it whether or not I would enjoy it, I would have bet that it wouldn’t be a positive read for me, but it really worked for me and I’m really intrigued by many of the characters and am very interested in seeing what happens next. I’m hoping that I pushed enough people to read Lily Anderson’s Undead Girl Gang. I really love everything that she’s written and I’m really hoping she gets more recognition. 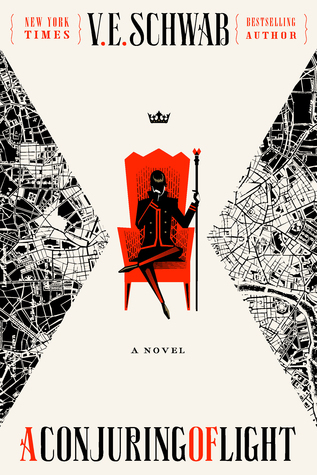 I read many really good first books in a series, but I’m going to mention The Cruel Prince by Holly Black and The City of Brass by S.A. Chakraborty. Both impressed me as series openers and I can’t wait to continue both series. For best sequel I am going with Bruja Born by Zoraida Córdova. I am so in love with this series and eagerly awaiting the announcement for the third novel. My favorite series ender I read in 2018 was Elizabeth May’s The Fallen Kingdom. This one made me feel all the emotions and I am really looking forward to seeing more books by this author. Going to resist naming a bunch of debut authors and go with Seanan McGuire and Courtney Alameda. With the former I finally pick up a book from (Every Heart a Doorway) and with the latter, it was kind of like I rediscovered her with Pitch Dark. 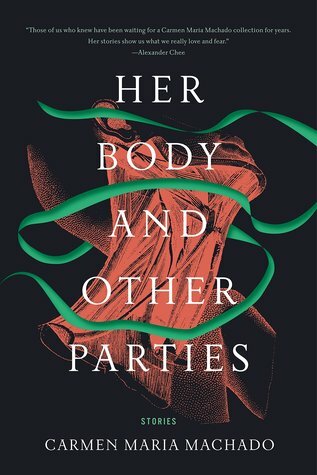 I don’t pick up short story collections very often, but I fell in love with Carmen Marie Machado’s eerie and strange Her Body and Other Parties. Courtney Summer’s Sadie was an unputdownable mystery. I grew so invested in Sadie’s story that I was racing to the end. There were a lot of really good books I read in 2018 that I can totally see myself rereading. 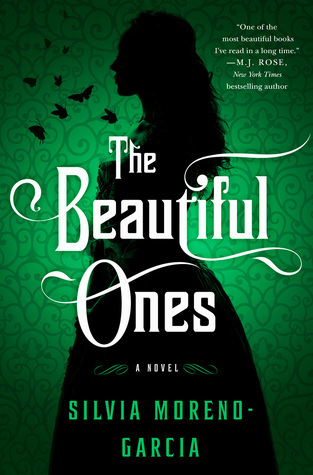 At the top of the list is Silvia Moreno-Garcia’s The Beautiful Ones. I found that book so satisfying and loved nearly every little thing about it. 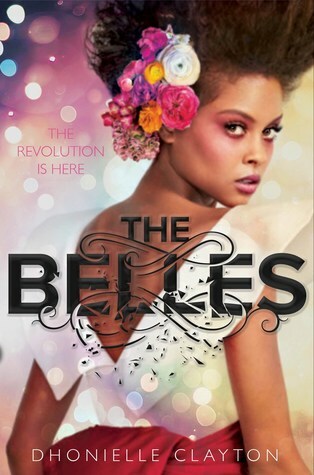 There were so many beautiful covers this year, but one that stands out to me is Dhonielle Clayton’s The Belles. 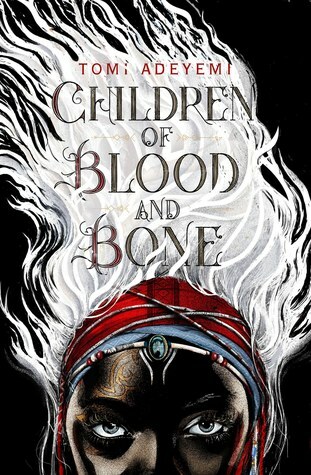 It’s such a gorgeous cover and makes me want to take all the book pictures. I felt a really deep connection to Janna from Saints and Misfits by S.K. Ali. She completely stole my heart. I wanted to wrap her in a blanket and protect her from the world. 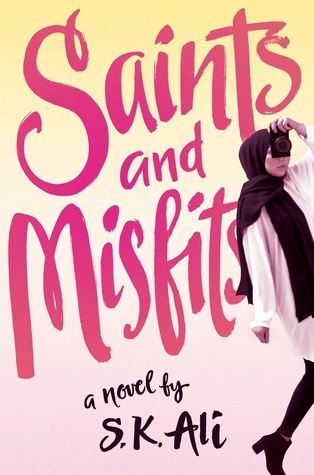 I just found out Ali is writing a sequel and I could not be more excited. I don’t even have to think about this one. Anna-Marie McLemore astounds, enchants and beguiles with her writing. 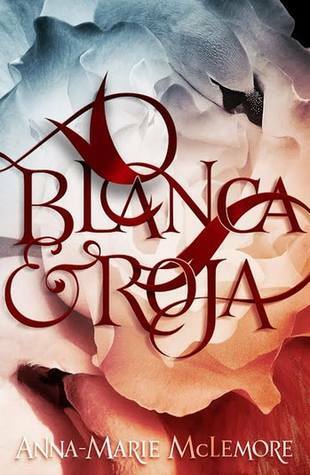 Blanca y Roja was everything I love about magical realism and fairy tales. McLemore is such a gifted writer whose every word feels like magic. 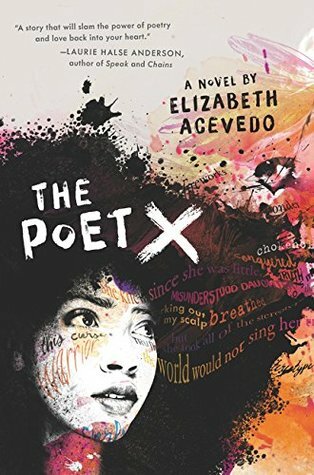 I could go several different directions with this one, but I’m going with Elizabeth Acevedo’s The Poet X because it was a novel that challenges me to read outside of my comfort zone. This one easily goes to Sandhya Menon’s When Dimple Met Rishi. I can’t believe it took me so long to read this book, but it was fantastic. If you ever need a book that will make you smile from start to finish, this is the one you need to reach for. This is a difficult one, but I’m sharing a little excerpt from The Poet X by Elizabeth Acevedo. from all the words I’ve pressed onto them. The shortest book I read this year was Melissa Lozado-Oliva’s poetry collection peluda which I loved so much. I didn’t read a ton of big books this year, the longest was Strange the Dreamer by Laini Taylor at 536 pages. How can I not mention Tiffany D. Jackson for this category. Monday’s Not Coming ended up being such a compelling read. It another one of those books that make you want to turn back to the first page just to be sure about what you read. 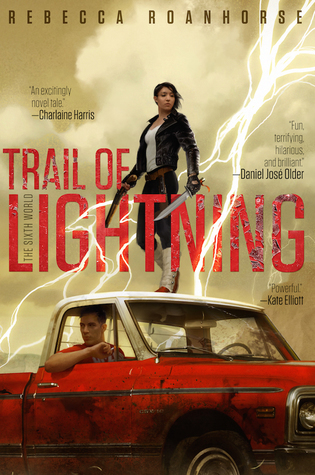 *slams hand on table* Let me tell you about Maggie and Kai from Rebecca Roanhouse’s Trail of Lightning. Maggie is the broody one who keeps people at arm’s length. Kai is a ray of sunshine who makes every page he’s on light up. They are amazing together and I love them. 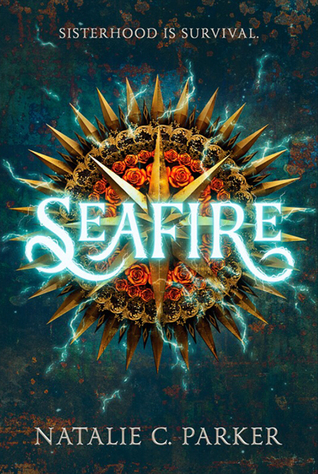 I’m going to include the entire crew in Natalie c. Parker’s Seafire. I love how supportive these girls are of one another. 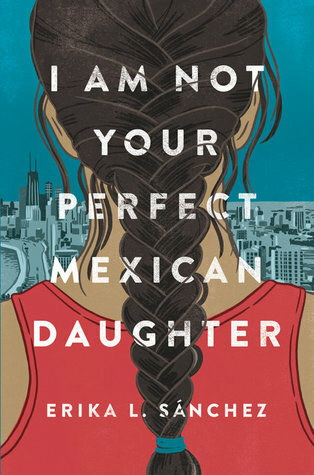 Let’s see, I would have to name Silvia Moreno-Garcia’s The Beautiful Ones and Anna-Marie McLemore’s Blanca y Roja. 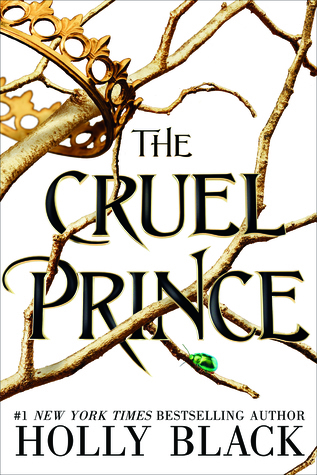 Holly Black’s The Cruel Prince has been my consistent answer when it comes to questions involving hype. I really had no intention of reading this one, but it felt like everyone and their mothers were recommending it and so I caved. But it ended up being such a fantastic read and the sequel is now one of my most anticipated 2019 releases. Kai from Trail of Lightning by Rebecca Roanhouse. Listen, he is a ray of sunshine and I love him and will protect him no matter what. Factoring everything in, I’m going to go with The City of Brass by S.A. Charkraborty. I was so impressed with everything in this one. The characters and world-building were top-notch. 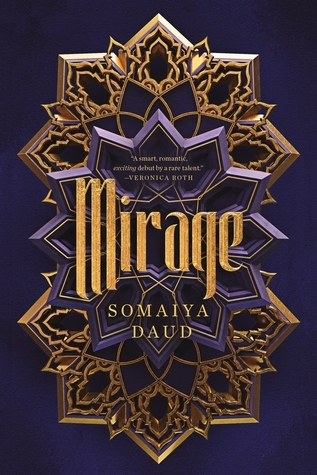 Mirage by Somaiya Daud stands out to me for its vivid and multilayered world-building. I can’t wait to see more from this author. Mentioning Sandhya Menon’s When Dimple Met Rishi again because I have never been happier reading a book this year than when I was reading this one. I am a crier. Well, not in real life, but fictional stories always make me cry for some reason. Elizabeth Acevedo’s The Poet X had me in tears multiple times. I say again, Lily Anderson’s novels are a must. I mentioned Undead Girl Gang earlier, but here I will mention another of her novels I picked up this year. 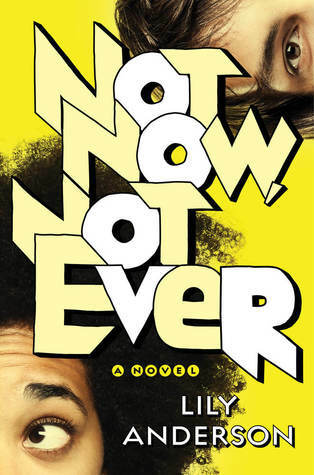 Not Now, Not Ever is a smart, fun contemporary loosely based on The Importance of Being Earnest. Read her books! 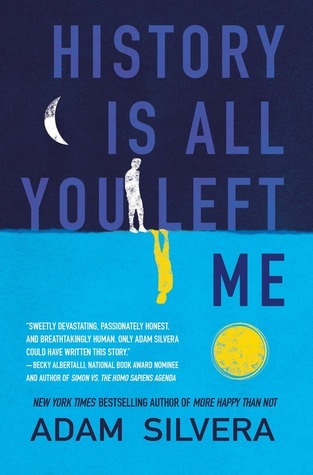 This one goes out to History Is All You Left Me by Adam Silvera, who loves to crush all his readers’ souls with each book he writes. 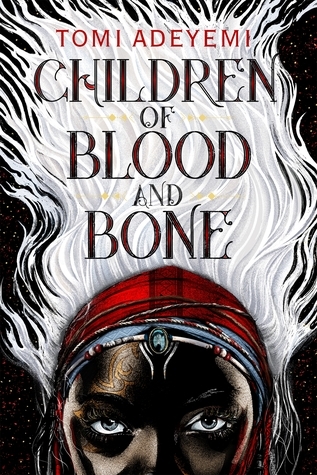 I think Children of Blood and Bone by Tomi Adeyemi is going to usher in a new era of fantasy books and I for one cannot wait. Special shout out to Carolina @ Fictionologyst. I’m so glad I was lucky enough to be paired with you for the Summer 2018 Comment Challenge. I think you are amazing and I’m so happy we’ve gotten to bond over books. I love all of the posts I did for Latinx Heritage Month. I worked really hard on these and was really happy I could help spread the word about all the wonderful books written by Latinx authors. You can check out my series here. Don’t know if I have a favorite photo, but this one seems to be pretty popular over on Tumblr. 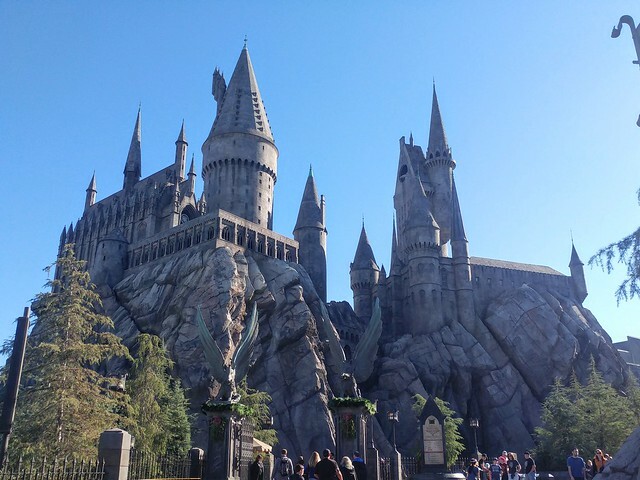 Does visiting the Wizarding World of Harry Potter count for this one? I finally got a chance to visit this truly magical place. My Potterhead heart was so full. I can’t wait to go back again. I received my first physical ARCs from publishers this year and I was over the moon. I had to lower my Goodreads goal this year because I was kind of stressing about meeting it. I’ve decided I am going to keep my goal at 50 next year, so I don’t stress about it so much. 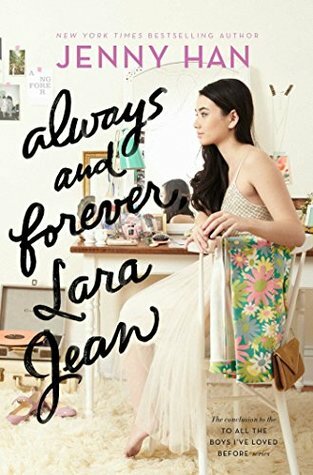 My most popular blog post this year that wasn’t a meme was Latinx Heritage Month, Part II: New & Upcoming Releases. If you are curious about books by Latinx authors being published between this October through 2019, check this out. I managed to find 50+ titles. I do wish my post Latinx Heritage Month, Part III: Latinx Poets You Should Know got a little more love. These poets are absolutely incredible and I need more people to know them by name. I finally gave in and became a Barnes & Noble member. So far it has been very worth it, though my bank account might disagree. I met my Goodreads challenge and came up a little short with the Debut Author Challenge and I’m okay with that. 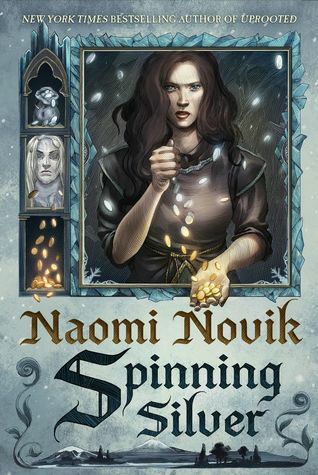 I have neglected this latest release from Naomi Novik and must make the time in early 2019 to pick up Spinning Silver. I reread Uprooted this December because I wanted to pick up something I was sure to love and it has me very excited to finally dive into this Rumpelstiltskin retelling. Do you know how much I love Roshani Chokshi’s writing? So so so much. I’ve already preordered The Gilded Wolves and am now counting down the days until I have this one in my hand. 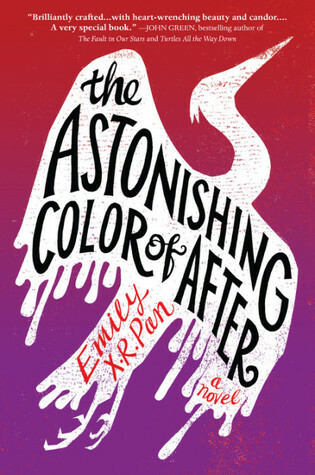 The cover for this one is so pretty, I can’t wait to see it in person. 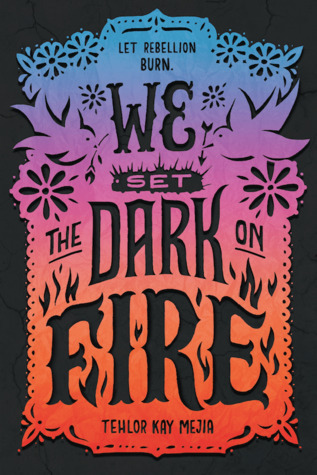 There are so many 2019 debuts I am itching for, but I’m naming We Set the Dark on Fire by Tehlor Kay Mejia. And yes, I’ve already preordered this one. Again, there are a ton of sequels I am looking forward to. 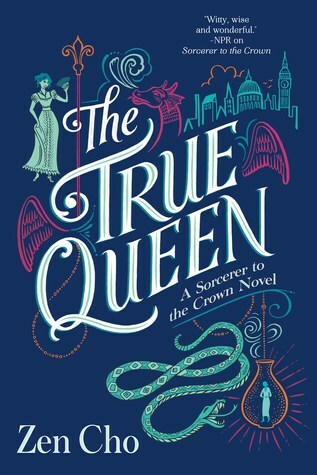 One I’m particularly excited about it The True Queen by Zen Cho. 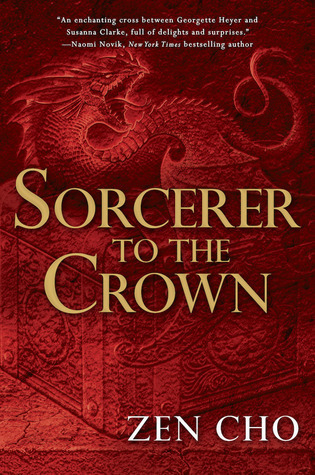 Sorcerer to the Crown is one of my favorite novels and now that we are getting a sequel/companion novel, I could not be happier. I’m hoping to get to more books on my shelf which is why I am joining the Beat the Backlist challenge. Look for my sign-up challenge in early January. I’ve only read one 2019 release, but felt pretty eh about it. I love doing end of the year tags and while I am still working on completing the annual End of the Year Book Survey, I thought I’d tackle this short one in the meantime. I was tagged by the lovely Annemieke @ A Dance With Books. She is one of my favorite bloggers and if you haven’t had a chance to check out her blog, you should do so now. Covers are linked to Goodreads. I am usually a strict one-book-at-a-time kind of bookworm, so I don’t have any partially read books I’m scrambling to complete by the end of the year. I feel like the only time there is a dramatic shift in my reading choices is back in October when I pick up all the spooky reads I can get my hands on. While I do associate big fantasy books with the winter, it doesn’t necessarily translate to a change in my reading habits. There are several new releases I wish I had my hands on, but I think any more book buying I may do will have to wait until the next year. I am planning a buddy reread of Holly Black’s The Cruel Prince with Carolyn @ A Hundred Thousand Stories, I have an ARC of The Similars by Rebecca Hanover I need to start today, and I’m hoping to pick up Girls of Paper and Fire by Natasha Ngan, but I’ve been in the mood for rereads, so we will see. 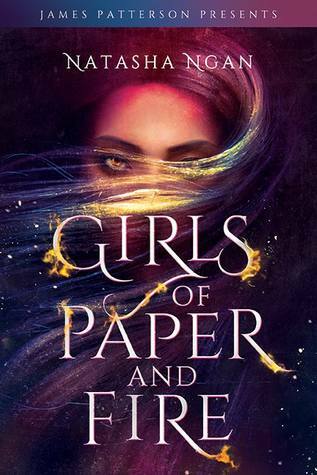 If I do get to Girls of Paper and Fire I am sure I will be blown away. No, I have not, but I am contemplating joining the Beat the Backlist challenge hosted by Austine @ NovelKnight. It’s a pretty popular challenge that I think would do me some good. I have way too many backlist books on my shelf that need reading. Tagging anyone who would like to take part. Leave me a link to your post and I will be sure to visit! Happy October! 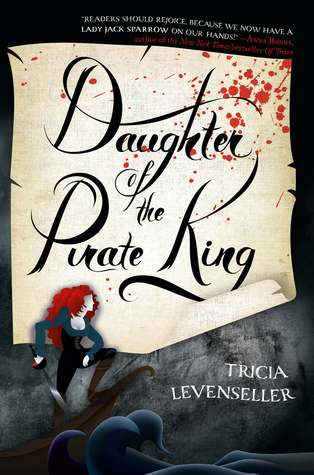 I was so delighted to be tagged by Michaela @ Journey Into Books for this Halloween-themed tag. As you probably already know, I love Halloween and delight in sharing posts that celebrate this creeptastic holiday. Special shout out to Anthony @ Keep Reading Forward who is the creator of this tag. Covers are linked to Goodreads. 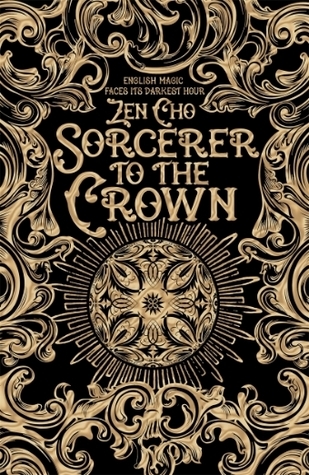 Sorcerer to the Crown by Zen Cho – I love when authors build magical systems that are fully fleshed out and this one of my favorites. It’s also a book I consider underrated, so if you are looking for a little magic in your life, perhaps reach for this one. The characters are also great and the sequel/companion novel is coming out next year. 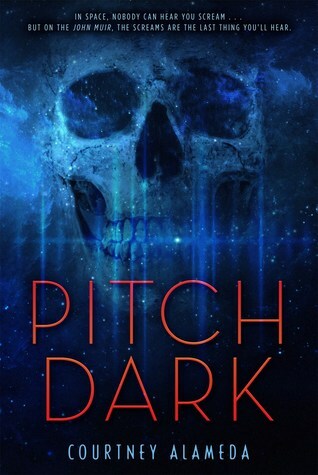 Pitch Dark by Courtney Alameda – Is there a better time to read a book with this cover? If the dark expanse of space kind of gives you the heebie geebies like it does me, this is the books you ought to reach for. Up the creep factor when there are unexplainable creatures in space trying to kill you. 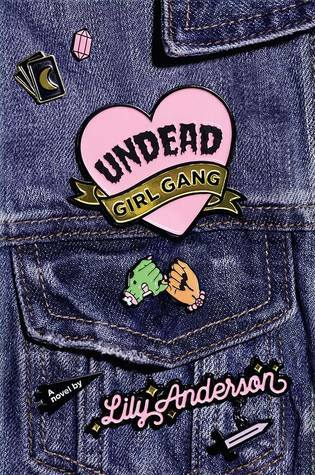 Undead Girl Gang by Lily Anderson – Who doesn’t like a little humor with their horror books? This one combines witchcraft, zombies, and a very surprise reveal that completely blindsided me. I’m usually really good at novels with a bit of mystery, but this one managed to pull one over on me. 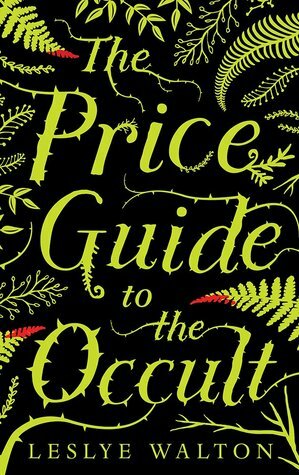 Price Guide to the Occult by Leslye Walton – Fern Blackburn was such an interesting character in this one for many reasons, but none more than the fact that she is both the mother of the protagonist and the villain of the story. She has the power to manipulate people, to create devotion in anyone she chooses, which has led her to do some truly horrendous things, including hurting her own daughter. 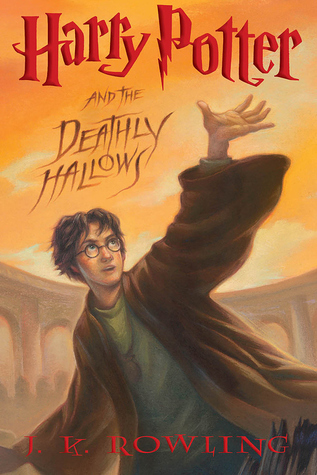 Harry Potter and the Deathly Hallows by J.K. Rowling – Look away now if you don’t want any spoilers for the final book in the HP series (even though I kind of think it’s been long enough that most of us now openly talk about all these deaths). There are a lot of deaths in this series that I will probably never get over, but two that felt super unnecessary were Tonks and Lupin. They just had a kid and it felt like JKR was creating another Harry Potter by killing off both of Teddy’s parents at once. I am still so angry on this kid’s behalf. 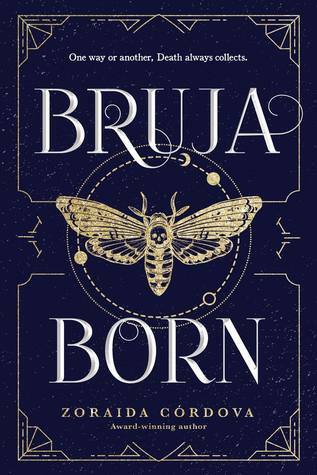 Bruja Born by Zoraida Córdova – I loved this sequel so much and the Brooklyn Brujas series has given me characters that I’ve always wanted to read about. 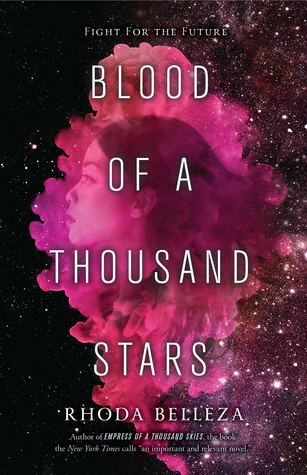 I feel like Córdova’s stories just get better and better and the moment I finished this novel, I immediately needed the next book in the series. I love that each of these books has centered when of the Mortiz sisters and am really looking forward to Rose’s story. Roja from Blanca & Roja by Anna-Marie McLemore – Roja will never be described as kind or soft and maybe that’s one of the reasons that I love her so much. She’s a little rough around the edges and even when she tries to soften herself, it just doesn’t come naturally to her. Despite her flaws or maybe because of them, she is one of my favorite characters and I take umbrage with anyone who might have issues with her. Fight me. 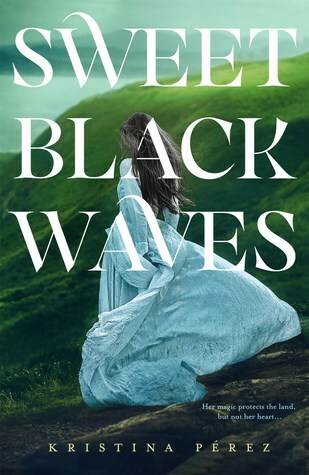 Sweet Black Waves by Kristina Pérez – This is the last book I read that I gave one star to. I would have DNFed it if it hadn’t been an ARC. The love story was the worst. I rolled my eyes so many times and was just happy when it was all over. I definitely won’t be reaching for the sequel for this one. Allegedly by Tiffany D. Jackson – This book was so amazing. It’s one of the most compelling reads I’ve ever picked up. The protagonist’s voice was so clear and the fact that she is an unreliable narrator had me turning page after page, needing to know the truth. This book has so many twists and turns. I still think about how well-crafted the story was and how deeply disturbing it ended up being. 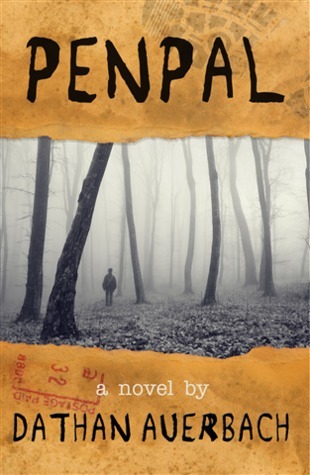 Penpal by Dathan Auerbach – Very few books scare me and it’s kind of a curse because I love being a little scared. Penpal ended up giving me plenty of chills though. I’d really like to do a reread of this one to see if it still gives me all the heebie jeebies. 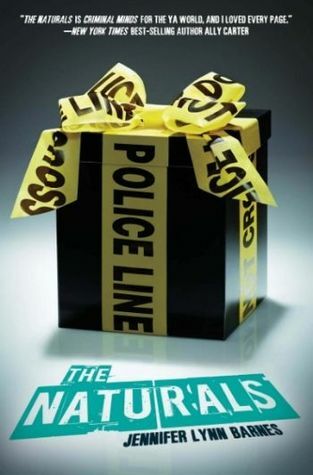 The Naturals by Jennifer Lynn Barnes – Michael is a character that I wanted to like throughout the series, but his personality kind of got on my nerves. While I do think he is a sympathetic character, I wasn’t fond of the way he treated other characters (especially Dean, who is another character I’d protect at all costs) and kind of wanted him to go away. 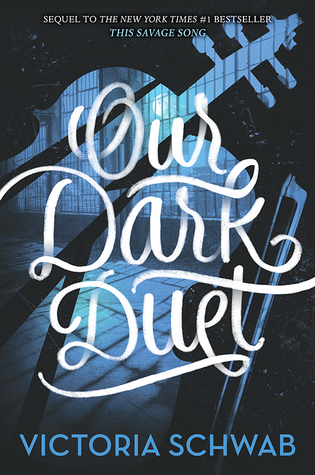 When the Moon Was Ours by Anna-Marie McLemore – This was a tough question. There are so many books that I love so very completely, but I’m going with this one because not only is it beautifully written, the story reached right into my soul and changed how I read magical realism. I have given myself over fully to the genre thanks to this novel and would love to share it with generations to come. 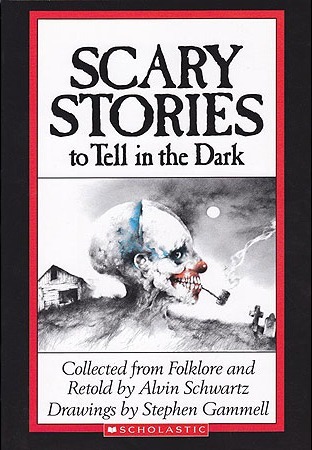 Scary Stories to Tell in the Dark by Alvin Schwartz – The cover for this one is really creepy if you stare at it for too long. Oh no, now I can’t look away. Who thought it was a good idea to put this on a children’s book? I actually think it’s creepier looking at it as an adult than as a kid. Still can’t look away. The Monster Mash – It’s fun to be with friends on Halloween. Tag your friends! Apologies if you’ve already been tagged. I am tagging Ashley @ Socially Awkward Bookworm, Erica @ Erica Robyn Reads, Sophie @ Blame Chocolate, Lipsyy @ Lipsyy Lost & Found, and anyone else who wishes to take part! It’s that time of year again. The End of the Year Survey was created and is hosted by Jamie @ The Perpetual Page-Turner. If you’ve never participated in this bookish survey, I encourage you to do so. It’s a great way to look back on your reading year and also share some amazing titles with your readers that they may have missed out on. 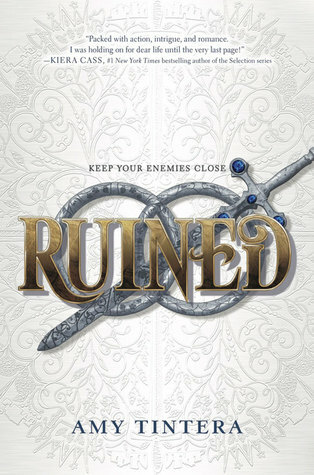 Covers are linked to Goodreads. Genre You Read The Most From: Almost split down the middle, so mentioning both fantasy and contemporary. All three of these books were phenomenal reads and technically they are different genres, so it’s not actually cheating. Also, don’t be surprised when I mention all of these titles multiple times during this survey. You may or may not know this, but I’m a huge Jane Austen fan. I own far too many editions and I won’t say how many because you will all judge me. I haven’t had the best of luck with retellings of her works, but I’m always hoping to like them. Anyways, I ended up not enjoying Emma Mill’s First & Then despite it being a pretty popular book among bloggers. Adam Silvera’s More Happy Than Not shocked me. I’m still reeling from that book. My emotional recovery is coming along rather nicely as I’m planning on picking up History Is All You Left Me soon. 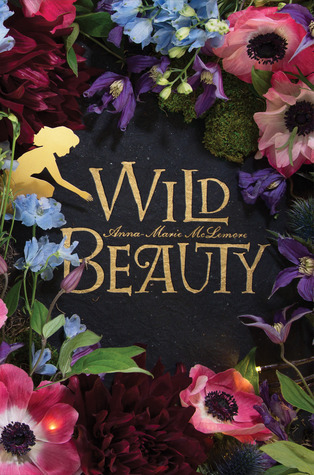 Hopefully people noticed I’ve been pushing Anna-Marie McLemore’s Wild Beauty a lot lately. I even changed my profile pic, so I could showcase this wonderful novel. Have you read it yet? Let’s fangirl in the comments! 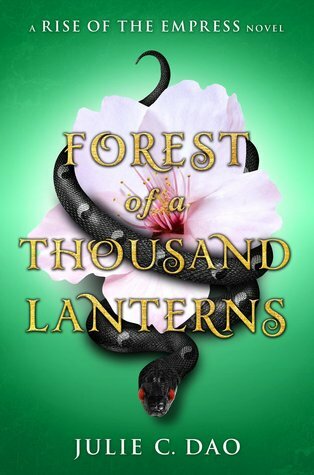 Best series starter is 2017 is Julie C. Dao’s Forest of a Thousand Lanterns. I called this one strangely satisfying because the protag gets closer and closer to becoming a villain. Windwitch by Susan Dennard wins best sequel. I enjoyed Truthwitch, but because of this sequel I’m now in love with this series. V.E. Schwab impresses once again with A Conjuring of Light, the conclusion to her Shades of Magic series. 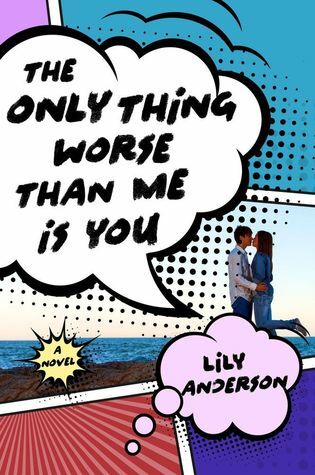 I’ve only read The Only Thing Worse Than Me Is You by Lily Anderson, but she is already a favorite author. She writes banter so effortlessly and I’m looking forward to picking up everything she writes. 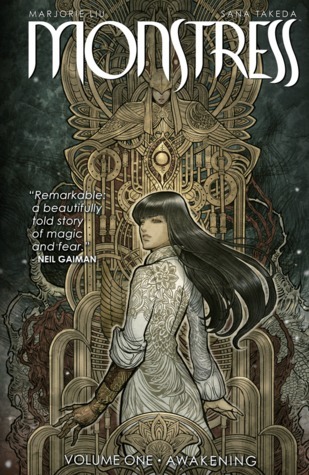 This is the first year I picked up graphic novels and Monstress, Vol. 1: Awakening was easily my favorite. The story is fantastic and the art is breathtaking. 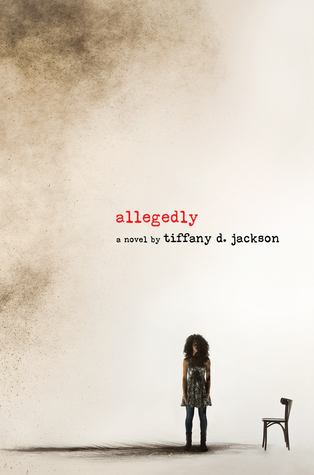 Speaking of breathtaking, have you read Tiffany D. Jackson’s Allegedly? This one stole my breath. I read it back in February and am still thinking about it. 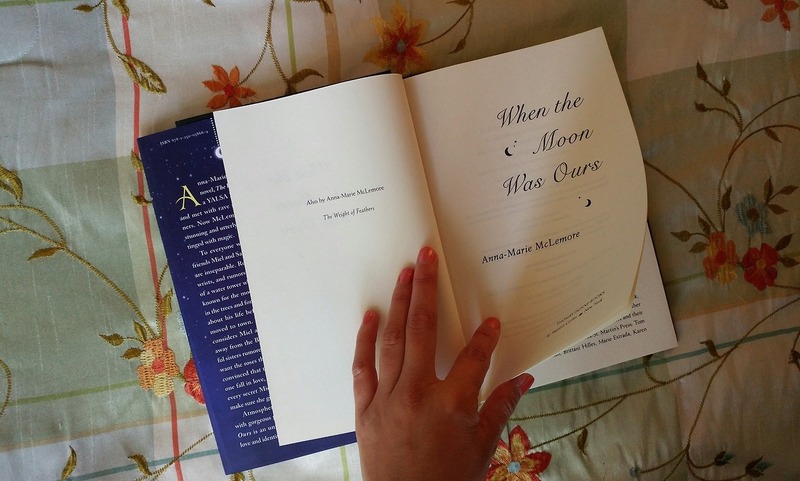 When the Moon Was Ours by Anna-Marie McLemore was not a 2017 release, but I did read it this year and the writing’s so beautiful, I’m going to need to reread it in 2018. 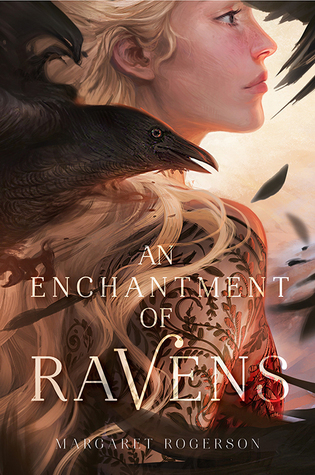 My instinct is to go with Anna-Marie McLemore’s Wild Beauty, but since I’ve already mentioned it, I’m going with Margaret Rogerson’s An Enchantment of Ravens. It’s such a lovely cover in person and the book is also really good. This is such a hard question, but I’m going with Starr Carter (and lowkey, the entire Carter family) from Angie Thomas’s The Hate U Give. Anything Anna-Marie McLemore writes is the most beautiful piece of writing I’ve ever come across. Angie Thomas’s The Hate You Give and Nic Stone’s Dear Martin have earned this spot. If you haven’t read these two books, do so now. 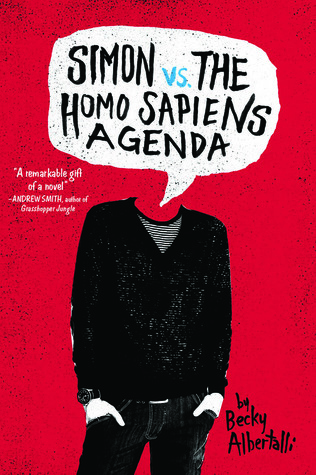 It took me far too long to pick up Becky Albertalli’s Simon vs. the Homo Sapiens Agenda and loved it so much. The movie looks amazing and I can’t wait. I can only pick one? I really like this description Fel has for Estrella from Wild Beauty by Anna-Marie McLemore. The shortest books I read in 2017 were graphic novels, of those, Ms. Marvel, Vol. 3: Crushed was only 112 pages long. The longest book I read in 2017 was V.E. Schwab’s Conjuring of Light at 624 pages. 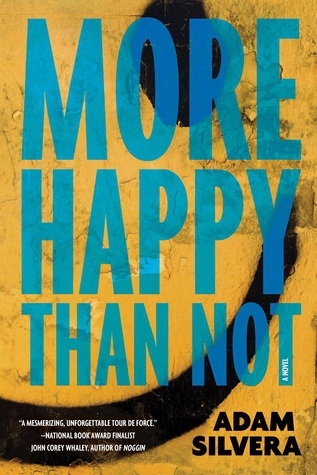 As I mentioned in an early question, Adam Silvera’s More Happy Than Not shocked me the most. Still recovering. I am fully invested in Aeduan and Iseult from the Witchlands series by Susan Dennard. I knew I was invested after finishing the first, but I have now dived head first into this ship (onto this ship?). There is no turning back. This is one of the easiest questions on this survey. I loved Desi’s relationship with her father in Maurene Goo’s I Believe in a Thing Called Love. Anna-Marie McLemore’s Wild Beauty! Just kidding (I’m not kidding, read it). 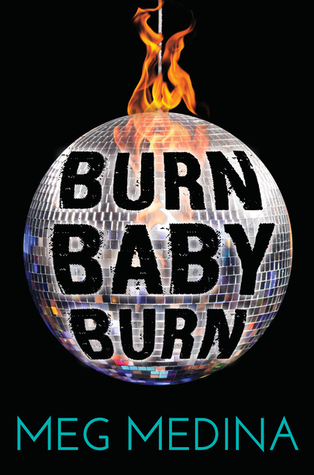 I read Meg Medina’s The Girl Who Could Silence the Wind last year and liked it, but ended up loving her newest novel Burn Baby Burn. 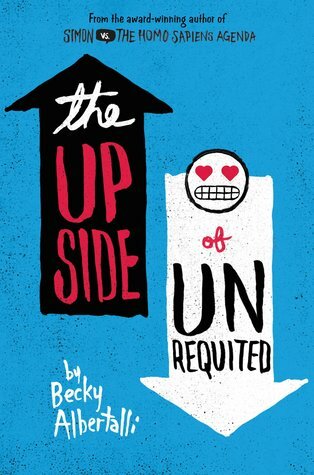 Everyone was praising Becky Albertalli’s The Upside of Unrequited and even though I hadn’t even read Simon vs. the Homo Sapiens Agenda (which I had planned to read first), I ended up picking this one up because of all the praise. 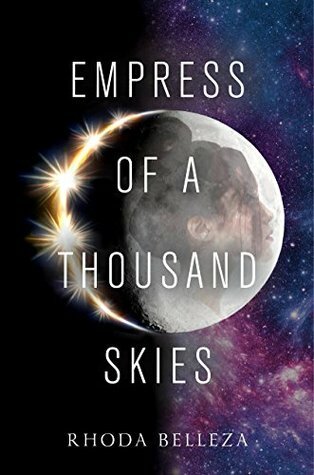 Zacharias from Sorcerer to the Crown and Aly from Empress of a Thousand Skies. I’m mentioning two characters because this is my list and I can do what I want. If you haven’t had the pleasure of meeting these two guys, I strongly encourage you to read their books. I was so impressed with Tiffany D. Jackson’s Allegedly. The characterization, the writing, the intensity. All of it was magnificence and the fact that this was a debut, pretty much guarantees that I’ll be purchasing every book she writes. Hands down this goes to Roshani Chokshi’s A Crown of Wishes. Her writing is so vivid if I could, I’d jump right into the story. 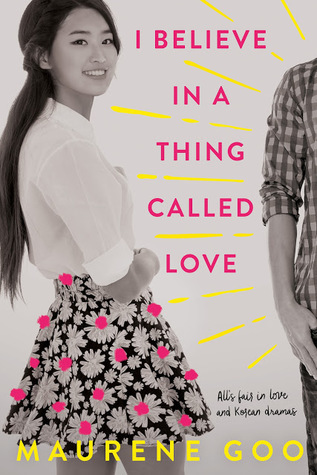 This is a toss up between Becky Albertalli’s Simon vs. the Homo Sapiens Agenda and Maurene Goo’s I Believe In a Thing Called Love. Both are capable of giving you a toothache. Two books really stand out when it comes to the amount of tears I shed over them. Both Angie Thomas’s The Hate U Give and Adam Silvera’s More Happy Than Not upset me so much, I gave myself a migraine. I’m not even kidding. I had to force myself to put them down before finishing because they were so distressing. But they’re good! So good. Please don’t let this put you off. 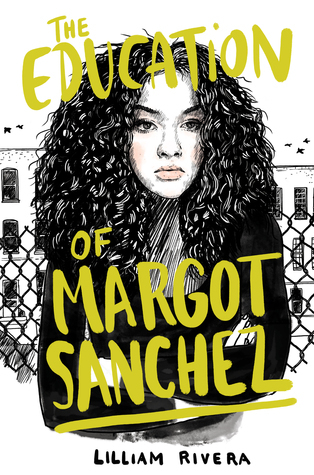 Lilliam Rivera’s The Education of Margot Sanchez is a debut I’d love to see more people talk about. 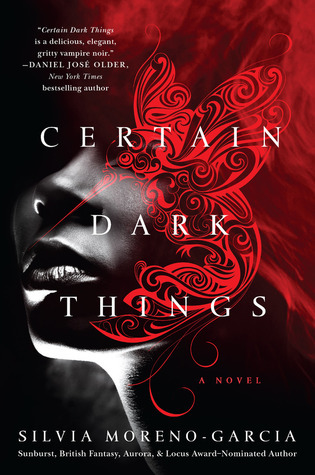 Also want to spotlight Silvia Morena-Garcia’s Certain Dark Things. It’s a 2016 book I read this year that blew me away in terms of world-building. Why aren’t more people talking about it? See answer to question 26. 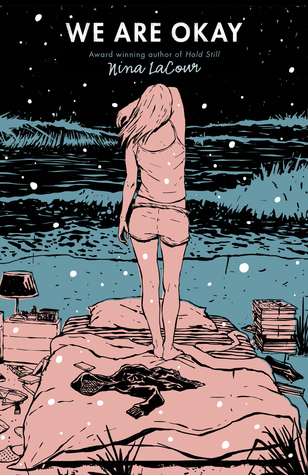 Also want to recognize Nina LaCour’s We Are Okay which really tugged at my heartstrings. 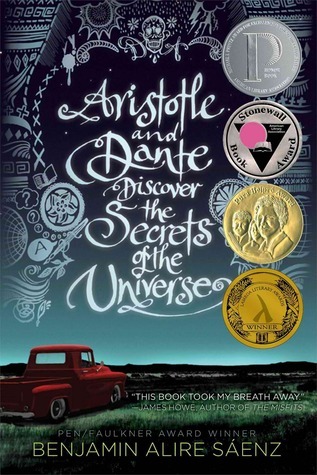 And almost forgot to mention Benjamin Alire Sáenz’s Aristotle and Dante Discover the Secrets of the Universe. It was my first audiobook and it was pretty powerful. One last time, I promise. I’m going with Anna-Marie McLemore’s Wild Beauty. Nothing I read this year compared to it (except, maybe her other book I read). I am still so mad that I only heard about Lily Anderson’s The Only Thing Worse Than Me Is You this year. I could have been in love with her writing for a year now. I hate this question. I always feel like I’m going to forget someone. So instead, I’m giving a special shout out to the top three bloggers who commented on my blog the most during 2017. A very special thank you to Melanie @ Grab the Lapels, Erica @ Erica Robyn Reads, and Lauren @ Always Me. Whenever I see that you’ve left a comment on my blog, it makes me smile. You three are amazing. I must sound like a broken record (and didn’t I promi—nevermind), but I’m actually pretty fond of my review of Wild Beauty. I wrote it while I was on hiatus and then when I came back, I agonized over it some more for a week. I’m pretty satisfied with it. You can read it here. I did not write as many discussion posts this year that I’d hoped, but it’s the end of the year, so I’m not going to dwell on that too much. My favorite discussion post that I did write is probably Kernels of Nonsense: Are ARCs Worth It? 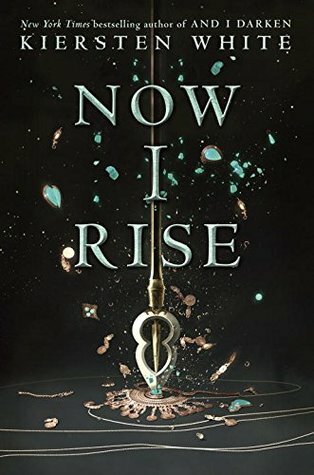 It’s a post I wrote because I was struggling with enjoying ARCs when I had them verses the excitement I had beforehand, wishing I had them. It’s perfectly acceptable to do a little self-promotion here, right? Loved once again cohosting the Comment Challenge along with Lonna @ FLYLēF. We spent three months over the summer partnering bloggers and encouraging them to comment on each other’s blogs for a month. We’ll be bringing this challenge back next summer. If you’d like to be informed when we do so, so you don’t miss out on signing up, you can join our Comment Challenge Newsletter here. Please don’t shoot me, but I had a major fangirling moment when Anna-Marie McLemore followed me on Twitter. My most popular post in 2017 in terms of views was my May Book of Choice Giveaway Hop because everyone wants to win a free book. And I don’t blame you one bit. How is it that my review of The Only Thing Worse Than Me Is You by Lily Anderson has gotten so few views? Go read my review here. It’s such a witty contemporary. Maybe the wittiest contemporary I’ve ever read. Does discovering that you may have a knack for making your own bookmarks count? Also, I will be doing a giveaway for said bookmarks in the new year. Let me get through these holidays first though. I completed my Goodreads challenge (70 books, finished with 76), the Debut Author Challenge (12 books, finished with 19), and the Flights of Fantasy challenge (20 books, finished with 21). I am determined to read When Dimple Met Rishi by Sandhya Menon very early on in 2018. Oh so many. 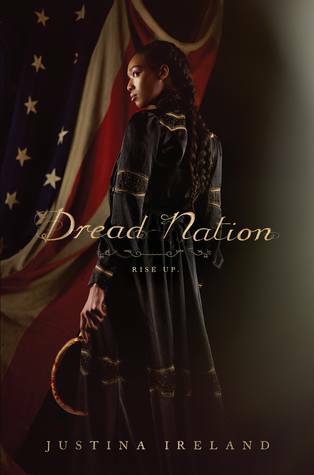 I’m excited for Anna-Marie McLemore’s Blanca & Roja, Tiffany D. Jackson’s Mondays Not Coming, Justina Ireland’s Dread Nation, Zen Cho’s Sorcerer Royal, Maurene Goo’s The Way You Make Me Feel, Lily Anderson’s Undead Girl Gang, Destiny Soria’s Beneath the Citadel…etc, etc. 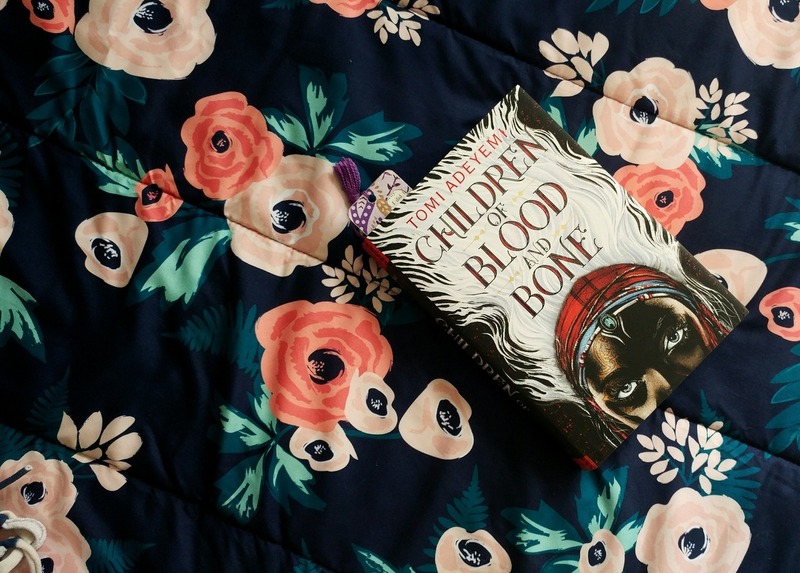 I am super looking forward to Tomi Adeyemi’s Children of Blood and Bone and Elizabeth Acevedo’s The Poet X.
I am pretty stoked for the second book in Julie C. Dao’s Rise of the Empress series. Forest of a Thousand Lanterns was such a good debut and series opener. I’m hoping to explore more magical realism in 2018. Recommendations are always welcome! 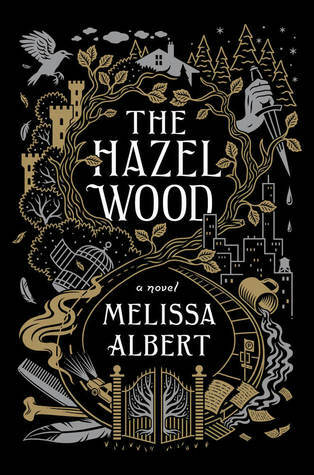 I’ve only read one 2018 release and that was Melissa Albert’s The Hazel Wood. You’re just going to have to wait and see what I thought of it. Did you have a fantastic reading year like I did? What was your favorite read this year? If you’ve also completed this year’s End of the Year Survey, drop me a link in the comments, so I can read your answers! The Mid-Year Book Freak Out Tag was originally created by booktubers Read Like Wildfire and Earl Grey Books. I’ve seen this tag show up every June and July since I started blogging, but never took part. I really like the idea of doing a little reflecting around mid-year. Let’s just pretend I’ve been tagged by someone and no one ought to think any differently. It will just be our little secret. I’ve had a really good reading year so far and am super excited for the second half. Covers below are linked to Goodreads. 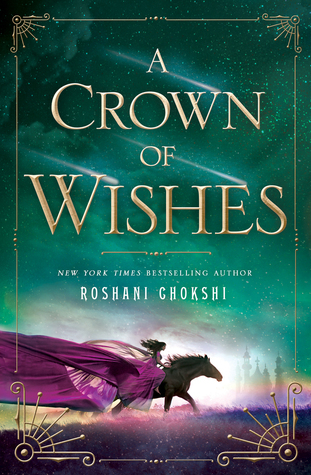 I’ve read a handful of 5-star reads this year, but I have a special place in my heart for Roshani Chokshi’s A Crown of Wishes. Chokshi’s writing blew my away. 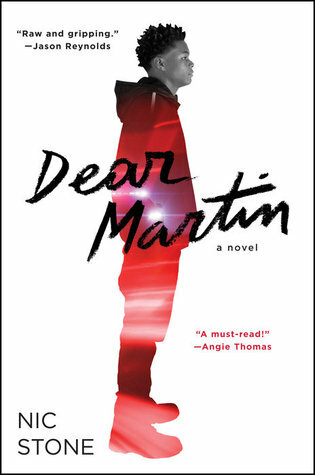 I really loved everything about this book and the main characters are some of my very favorite. 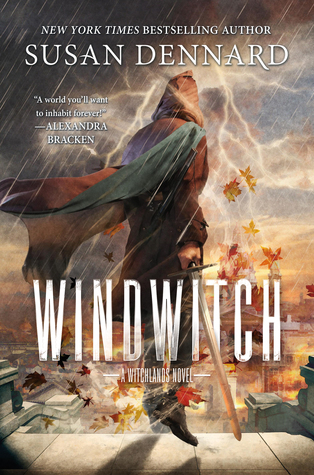 I loved Susan Dennard’s Windwitch. I had my issues with Truthwitch and its world-building, but I think the writing really improved in this one. I love the changing dynamics between several of the characters and am really looking forward to the next book. 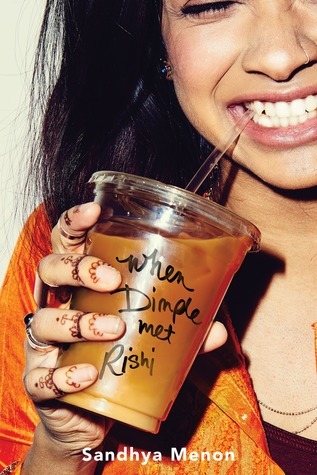 I need to read Sandhya Menon’s When Dimple Met Rishi! I’ve had this on my shelf for over a month, but haven’t found the time to read it. I need Anna-Marie McLemore’s Wild Beauty like I need this next gulp of air. I have a feeling that McLemore is going to once again enchant me with this one. There haven’t been many book this year that I felt truly disappointed in. The books I ended up not liking have been ones that I wasn’t expecting much from or ones that I’ve heard a mixture of things about. 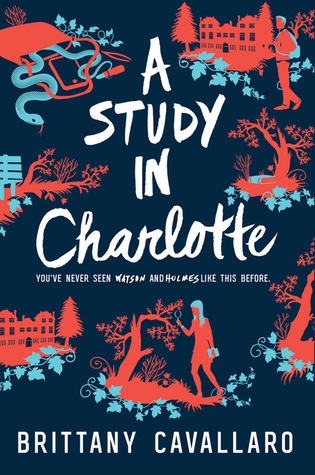 I picked Brittany Cavallaro’s A Study in Charlotte for this one because while I was reading it I enjoyed it, but some of the twists didn’t sit well with me. 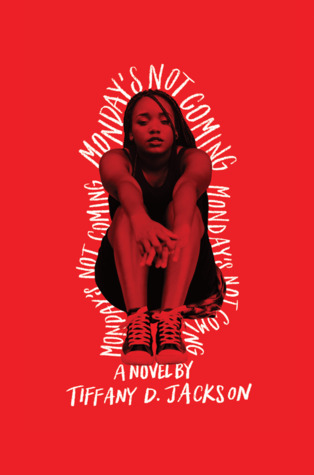 I’m not sure what I was expecting from Tiffany D. Jackson’s Allegedly, but what I ended up reading was an incredibly complex, emotional-charged debut. I still marvel at this being a debut. If you haven’t read this one, do it! I have a feeling Angie Thomas is going to be around for a long time. 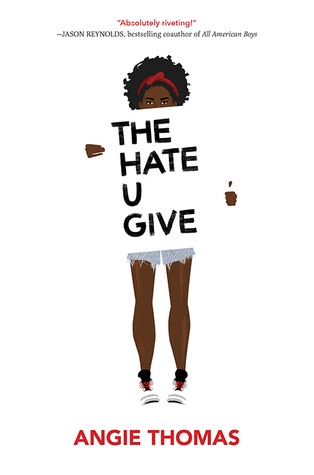 The Hate U Give is one of the most thought-provoking novels I’ve ever read and I am really excited to see what else she has in store for us. I liked Aeduan after Susan Dennard’s Truthwitch, but after Windwitch, I love him. Morally grey characters are just so much fun, aren’t they? I love Gauri from Roshani Chokshi’s A Crown of Wishes. She’s such an incredible character and has become one of my favorite protagonists. 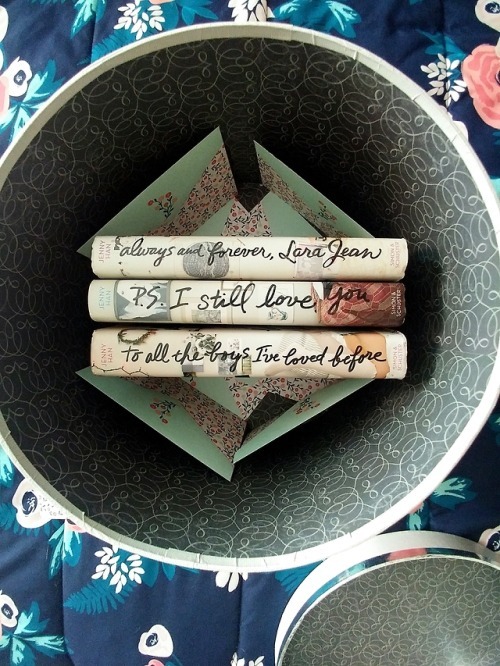 Can you cry because a book is just so beautiful? Yes, you can! 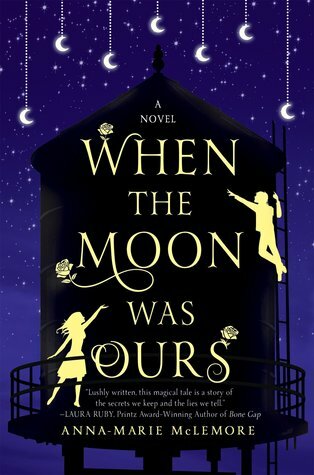 Anna-Marie McLemore’s When the Moon Was Ours is one of the most beautiful books I’ve ever read and reading it brought me close to tears. I cannot believe how much cuteness is packed into Maurene Goo’s I Believe in a Thing Called Love. If you need to smile, pick this one up. Strangely enough, I don’t think I’ve seen any movie adaptations this year. However, I did binge watched Netflix’s Anne with an E based on Anne of Green Gables and really liked it. I know some people say its way too dark, but I appreciated the different take on the classic. 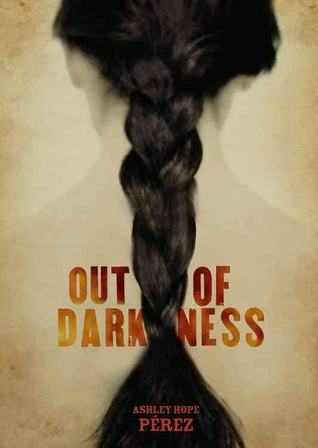 I really like my review of A Conjuring of Light by V.E. Schwab. Check it out! Can I just mention Anna-Marie McLemore’s When the Moon Was Ours again? Not only is the writing beautiful, the book itself is so very lovely. I feel like I’ve neglected a lot of the books I’ve purchased this year. Here are four books I’ve been dying to read that are currently sitting on my shelf just waiting for me. What’s your favorite book of 2017 so far? New release you haven’t had a chance to pick up yet, but are dying to? Have you done the Mid-Year Book Freak Out Tag? Leave me a link!